All posts tagged with "pipes in the mist"
From just about the beginning we’ve been into the idea that Clockwork Empires should involve running giant assemblies of pipes and cog-laden axles across settlements to transmit energy and water and completely harmless high-pressure superheated steam between various machines and factories. The basis for this came early: if we’re to embrace the aesthetic we desire we need to fully embrace the visuals of mechanization, of machines and factories and the wonders of technology of this Age of Progress & so forth. 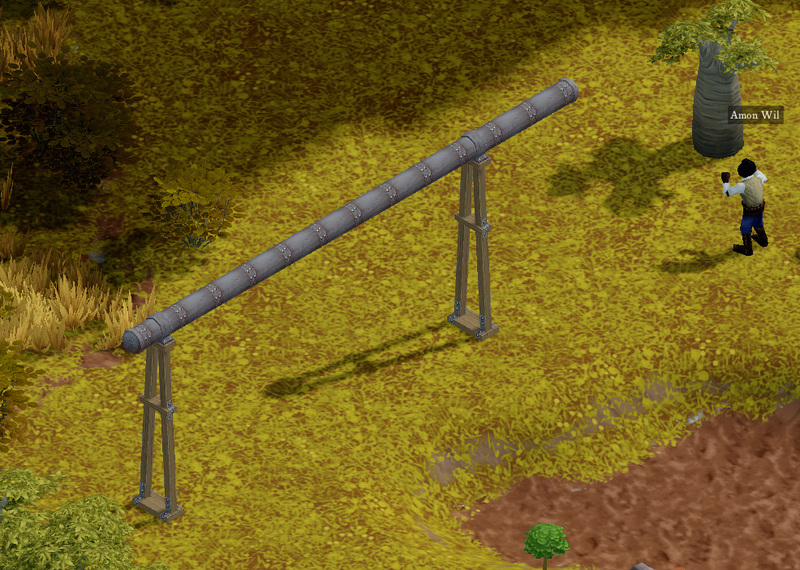 If we hide the machines inside the factories then you won’t be able to see any of the Fun gears and pipes. So, the breakthrough: put the machines, the pipes, the gears on the outside of the factory. For the sake of simplicity we’ve rolled pipes, axles, and anything else that falls into this category of things-that-connect-to-machines into a category we call “dynamics lines” (whereas “dynamics” are water, mechanical force, steam, voltaic energies, nourishing goo, etc). Very, very old concept art playing around with the idea of exposed pipes & axles. This has not been without controversy in the Gaslamp Games Design Discussion And Knife Fighting Arena because this is both intrinsically insane and poses some really difficult problems with being able to clearly express what is actually going on in the game.